Spring’s the perfect time to plan a reno. If you’re considering something unique that really stands out, what about architectural concrete?! Hardscapes Inc. has been installing architectural concrete finishes since 1996. 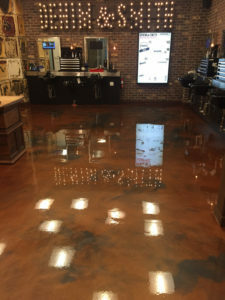 We specialize in decorative concrete overlays, engraved and stained concrete floors, garage floor coatings, and industrial/commercial floor coatings in a variety of finishes in colour and texture. Architectural concrete has been used more and more in residential homes providing unique design aesthetics that are beautiful and unforgettable. 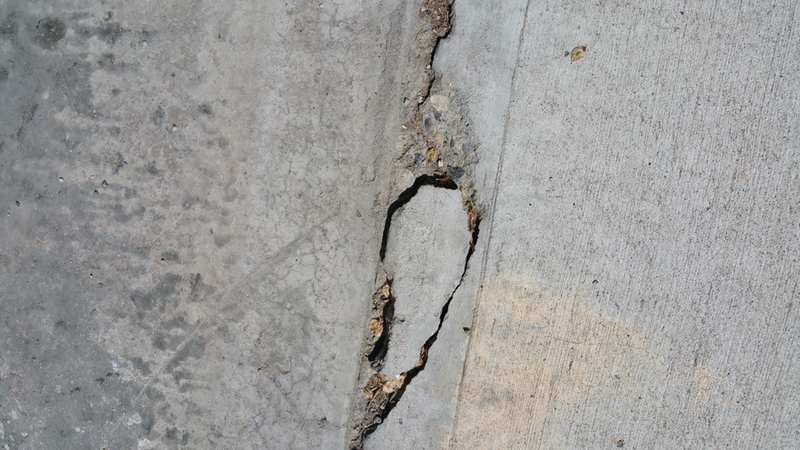 And, architectural concrete is versatile, durable and economical. With over 20 years experience combined with our attention to detail and high level of customer service, we take pride in every project we undertake, no matter the size. Transform the look & feel of your interior or exterior this spring by adding attractive concrete features! Request a quote today at 403-547-5597. Just finished this gorgeous floor in Bankers Hall! Copper Reflector with Gunmetal accents. Richard and his team can give you a quick trim while you’re there. 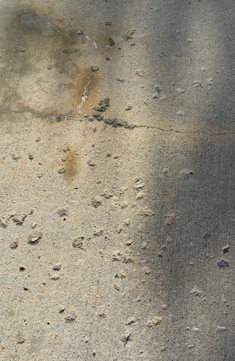 Did you know that concrete doesn’t have to be boring ‘ol gray?! 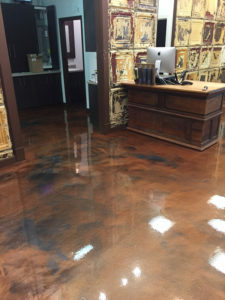 If you have a residential or commercial concrete surface you’re considering restoring or doing something more exciting to than the traditional dull shade of gray, we have some colourful, decorative products that will make your flooring unique to you! The REFLECTOR™ Enhancer Epoxy Flooring System offers an innovative concrete finish solution in unlimited colours, designs and patterns. 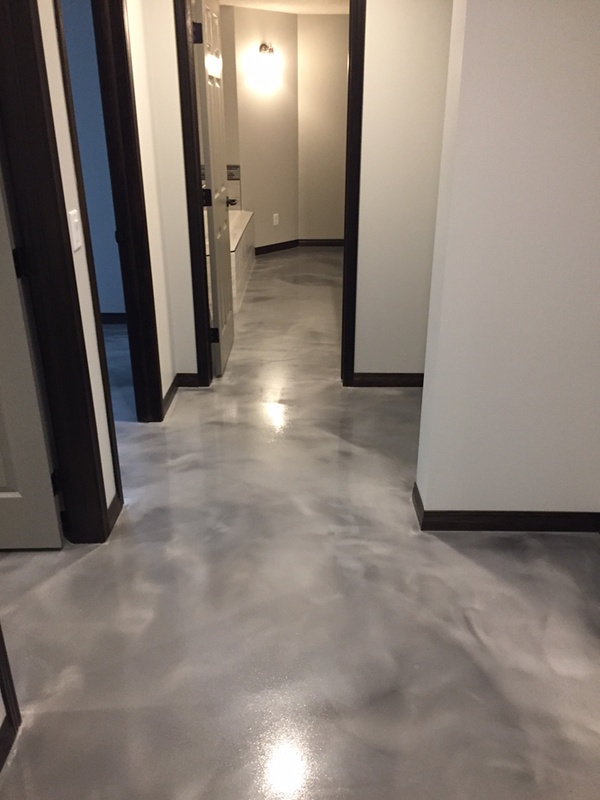 From every day residential living spaces, sun rooms, basements, garage floors, and patios to commercial flooring in malls, medical facilities, hotels, restaurants, office buildings and educational buildings, REFLECTOR™ Enhancer is a durable, low maintenance flooring alternative that is aesthetically appealing. Give us a call today at 403-547-5597 for more information or to explore options. We’d love to help you come up with something original and creative! This reflector floor was installed on all 2200′ of this Airdrie basement. 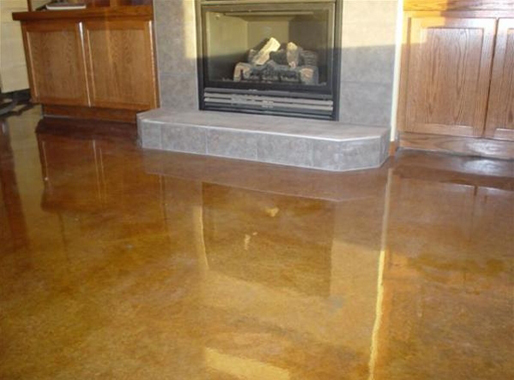 It is a gorgeous seamless flooring solution that is durable and easy to maintain. 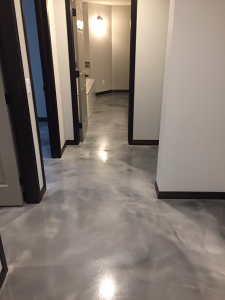 More and more people are moving to hard surface floors for their basements, particularly when they are heated concrete floors. Give us a call to get your estimate scheduled. Recently completed 6000′ of commercial bay floors. 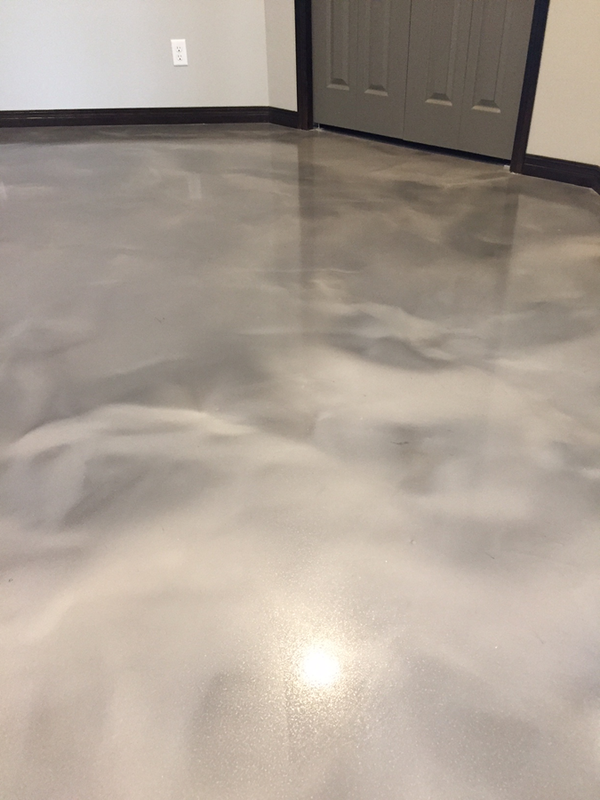 Epoxy base with a polyaspartic topcoat makes a great high build coating that is very durable. In this case size doesn’t matter. 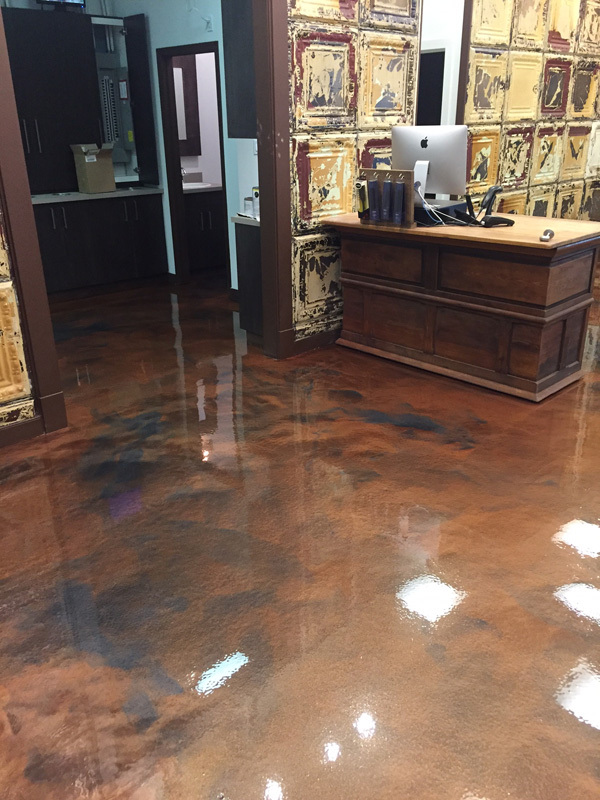 We can transform any sized commercial floor taking it from dull and pock marked to a new luxurious and shining surface. 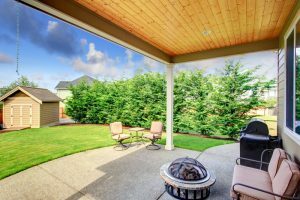 What is the first thing a potential home buyer sees when they view a property? The driveway. They will either park in it or walk up it as they approach the home. 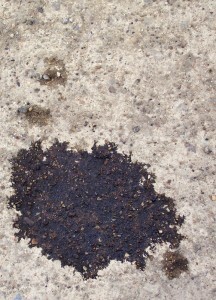 If you think a cracked and pitted driveway doesn’t matter to a potential buyer you would be wrong. Here is what one agent had to say. 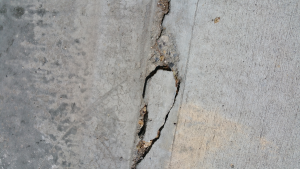 Hardscapes Inc. is expert at repairing cracked and pitted driveways and garage floors. Don’t wait until your house is up for sale to get the job done.